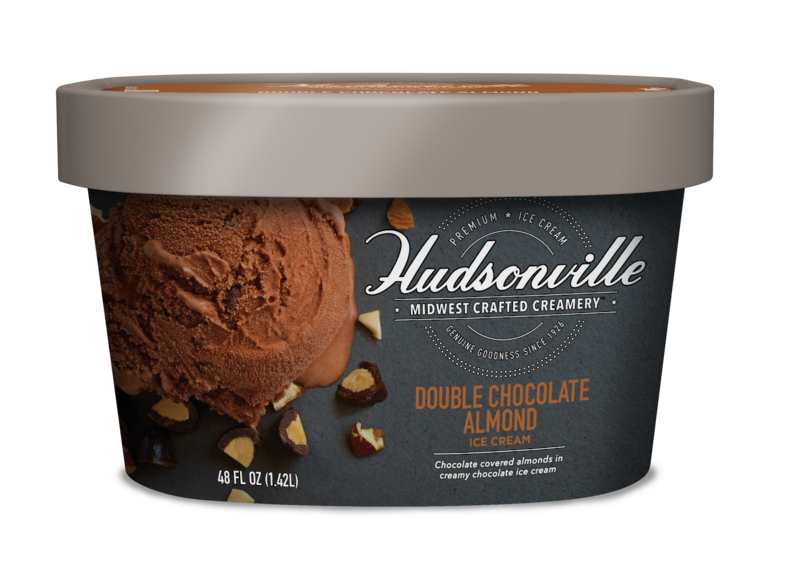 Go nuts with the flavor of crunchy, chocolate covered almonds and creamy chocolate ice cream. Double the chocolate because when it comes to chocolate, there's no such thing as too much! Milk, cream, sugar, corn syrup, alkalized cocoa, almonds, skim milk, coconut oil, whey, mono and diglycerides, cellulose gum, salt, natural flavors, milk fat, natural cocoa, soy lecithin, guar gum.